Each year, Seagle Music Colony selects thirty-two of the finest young singers from across the country and around the world to participate in its program. Emerging artists are chosen through a rigorous application and audition process. Both live auditions and recorded auditions are considered in the selection process. Selected emerging artists are in residence each summer from mid-June to mid-August. Dates for 2019 are June 17 to August 18, 2019. Artists participate in six fully staged productions every season along with concerts, diction and acting classes. Twice weekly, artists receive private voice lessons. Artists also receive private coaching sessions. A major portion of class time each year is devoted to audition techniques and career planning. Masterclasses by visiting professional artists, artists’ managers and professional company arts administrators are regularly scheduled throughout the summer. Classes and sessions in other theatrical aspects of the performance of opera and musical theatre, including sets and costumes, make-up and haristyling are also given. The deadline to apply to be a 2019 Emerging Artist has passed. Information about application to our 2020 program will be available by mid-October 2019. – live audition or recorded video audition in lieu of a live audition. Audition requirements are two contrasting pieces, one preferably in English. Additional selections may be offered, but only two will be heard in live audition. – $40 Application Fee with video, $50 with a live audition. – Performance resume detailing opera and musical theatre experience. NOTE: In order to apply, you must register for a FREE YAP Tracker.com profile. You are NOT required to become a YAPTracker.com member in order to apply. Please go to YAPTracker.com to learn about the benefits of becoming a YAP Tracker member. 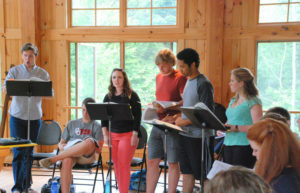 All roles – including principal, featured and supporting, as well as chorus – are pre-cast from the ensemble of emerging artists attending the Seagle Music Colony. 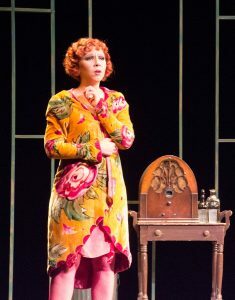 All artists receive at least one featured role during the season. This extended season includes additional performances as well as an in-school outreach program in Sept. and early Oct. Four emerging artists participating in the summer season will be selected to remain in Schroon Lake for the outreach program. The program will include a stipend and housing for the residency period, as well as coaching and extended performing experience. No additional application is required for this program. Seagle Music Colony is managed by General Director, Tony Kostecki and Artistic Director, Darren K. Woods. A professional faculty of voice teachers, pianist/coaches, stage directors and theatre technicians bring their years of experience to our emerging artists each season. The Seagle Music Colony campus facilities are located on 20 beautiful wooded acres just southwest of the Adirondack town of Schroon Lake. The Adirondack Region of upstate New York includes the 6.1 million acres Adirondack State Park, comprised of both private and public lands. Our area of the county is considered by many one of the most beautiful wilderness areas in the eastern United States. Seagle Music Colony is a tuition-based program. Tuition costs for one season are $5,250 plus the application fee (please see application requirements above), and a refundable housing security deposit. This cost covers lodging and meals for the entire season as well as all other costs. Transportation to Schroon Lake, books and scores are not included. Scholarships are given to most emerging artists based on the needs of the artist and the production needs of the program. Before application, please read our full payment and cancellation policy.